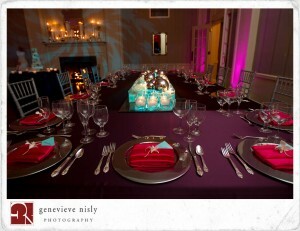 Sometimes the weddings I do, feel like family members weddings! 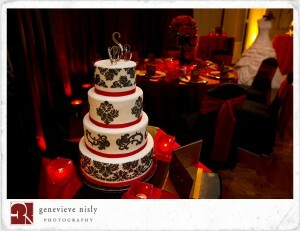 That was this past weekend’s wedding! 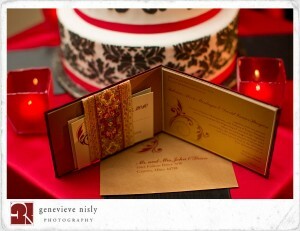 Several years ago, I was blessed to work with Christina’s sister Kathleen on her wedding to Joe. They were wonderful people and have remained dear friends of mine! 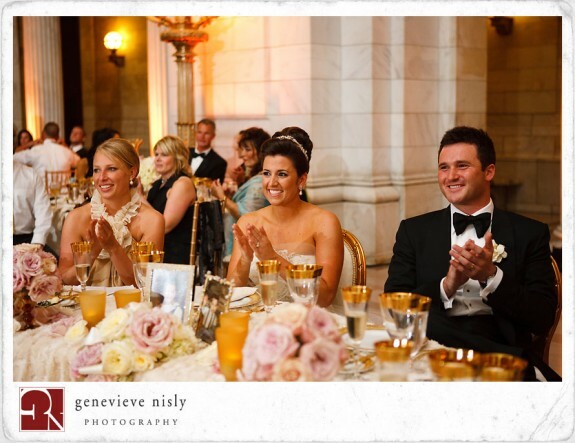 When Christina and Luke were engaged and I was asked to assist in their wedding planning, I knew from day one….it was going to be another special wedding! A family that is as sweet as they can be, good hearted people that planned a day of fun and family! Luke was very involved in the planning and I loved that! He was a great help and I often joked that he was going for Groom of the Year…..tough competition every year, but he definitely is a front runner! It helps that he has a beautiful and kind bride! 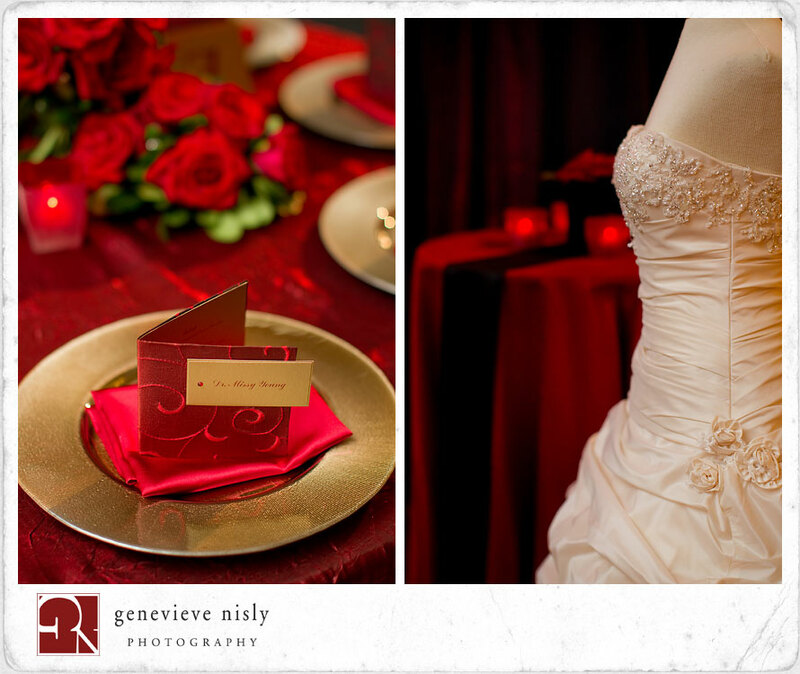 What a wonderful wedding to be a part of – a couple that truly respected each other, had a lot of fun planning and are just all around great people! 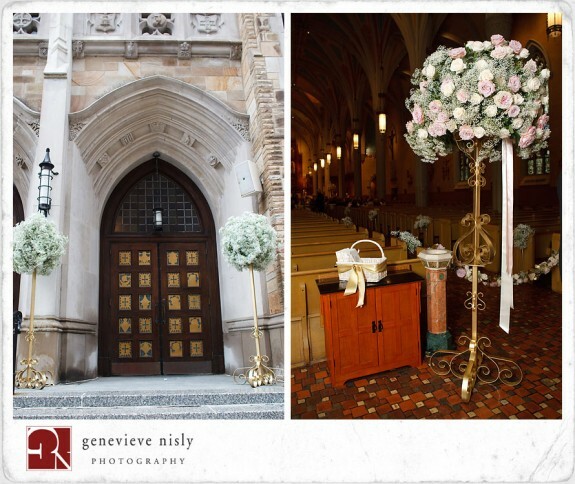 The wedding ceremony happened at the Walsh Chapel – Our Lady of Perpetual Help and it was a beautiful ceremony. The music was magnificent under the direction of music director PJ Chavez! 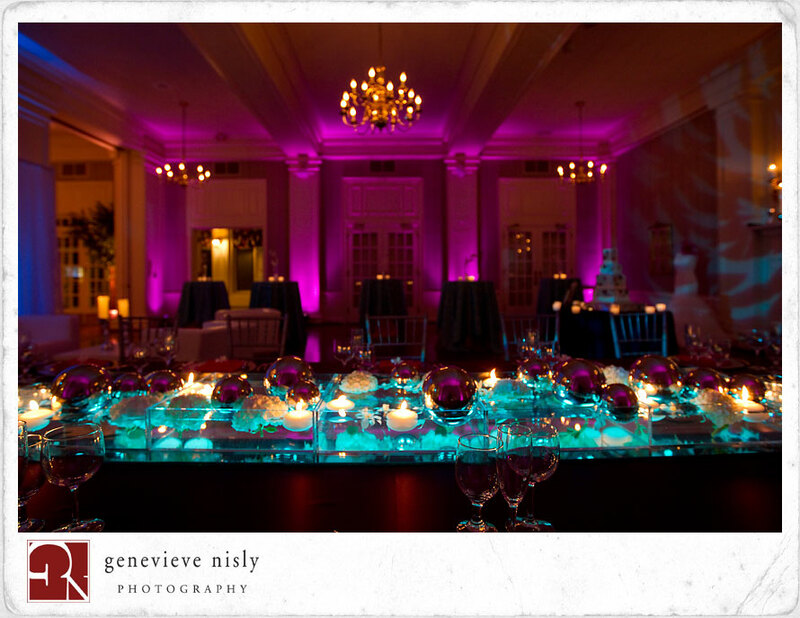 The wedding reception was at Brookside Country Club…and as always, they shined. 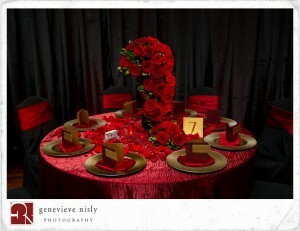 The food was fantastic, the setup was perfect and they are really so accommodating and easy to work with. 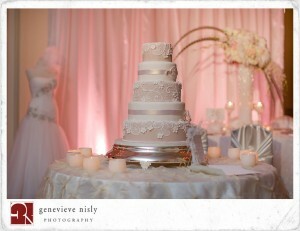 David Palmer of Network Sound provided the lighting, Johnnies Bakery the delicious cake. Neil Leeson was the designer on the floral and décor aspects of the wedding and as always, it was beautiful and exactly what Christina was looking for! 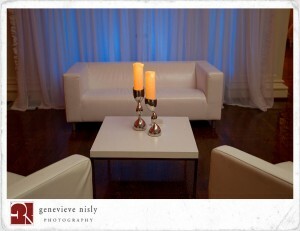 Be Seated handled the chairs and they were fantastic to work with as well. I am sure I will have pictures to share as well in the future from Carman and Pugh but I wanted to share the Same Day Edit first! Many thanks to Red Bicycle Media on an outstanding Same Day Edit….these are not easy to produce and this is an outstanding remembrance of a very special day! I first met Brandi back in the bitter winter of 2010! 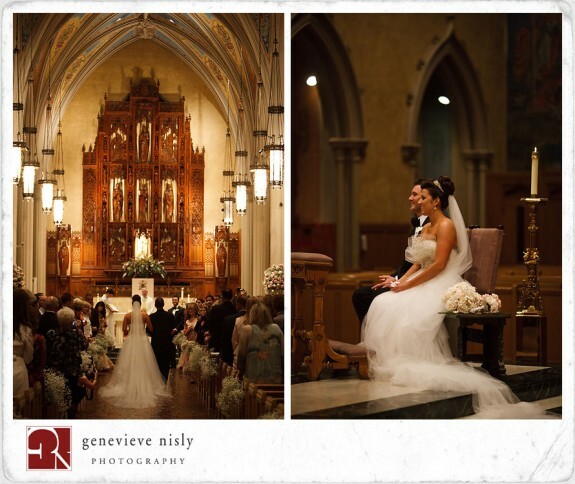 I knew from the start that planning her wedding was going to be a great experience. I knew from the beginning that it was going to be detailed and elegant. I thought that it would entail a lot of details and parts, and I was absolutely right. The wedding ceremony occured at the St. Johns Cathedral in Downtown Cleveland with the reception being held at the Old Courthouse on Lakeside. Both are amazing….old world charm! I have said over and over, this wedding had the A team. 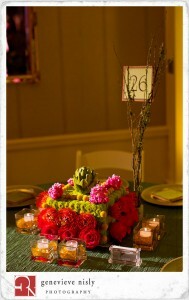 So many great vendors collaborated to make this an evening that I know was enjoyed by everyone in attendance. I loved getting to know Brandi and Michael, they are very kind, extremely funny and really just a joy to be around. 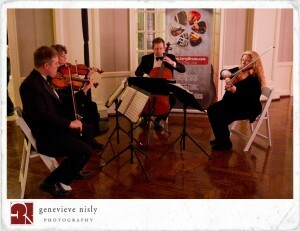 I worked a lot with them as well as their families in the creation of this wedding. 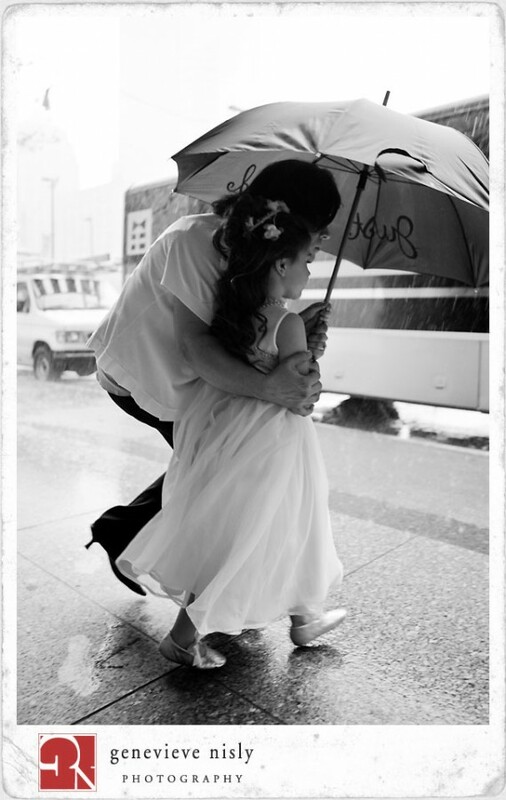 It truly was a team effort….including getting the bridal party out of the hotel and into the church during an absolute downpour (see photo below!) I was drenched, but it wasn’t about me…..they were dry and that is all that mattered! So back to the “A Team!”: The food was amazing and the service staff was top notch. 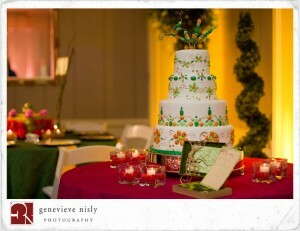 Peggy Hauser with BonAppetit was absolutely fantastic to work with. 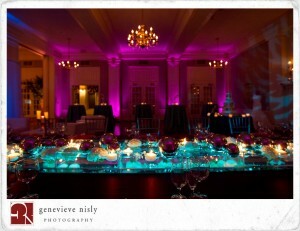 The guests dined on an Amuse- Bouche of Corn Creme Brulee, an artistic salad and the entree was Surf and Turf! 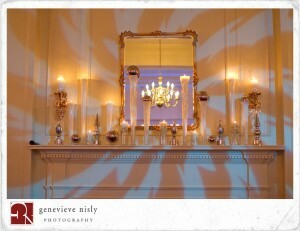 The amazing decor was designed by Stephen Tokar. Until this wedding, I have not had the opportunity to work with Stephen and I am simply amazed! 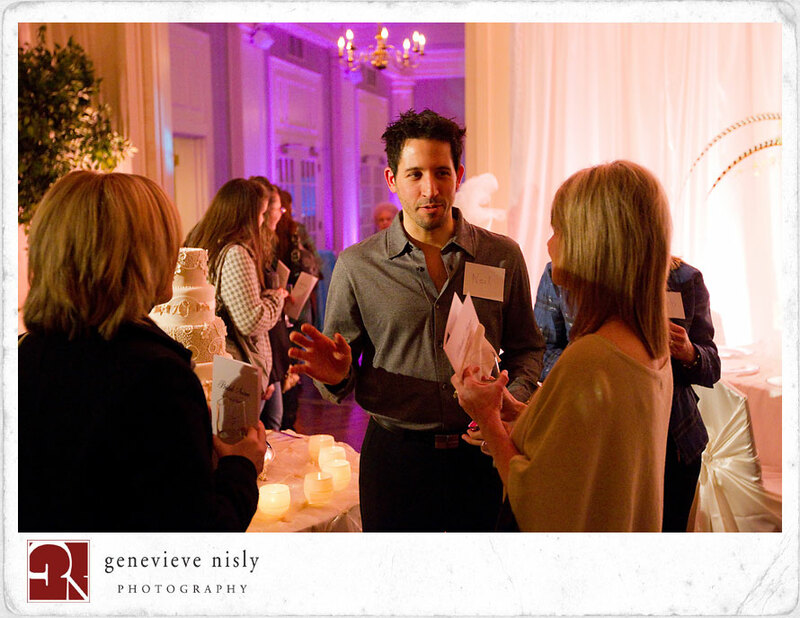 Not only is he a great designer, patient and kind….but he is also truly fun to be around! I am so glad that we had the opportunity to become friends through this wedding! 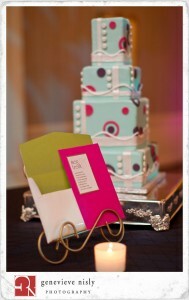 Jim Lottig from Event Source was also a big help in the planning of this wedding. 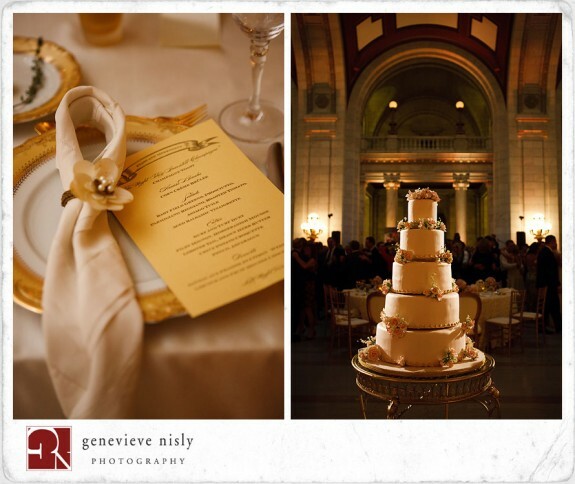 Countless hours went into the rental selections and many of the items we chose were purchased just for this wedding, including the china and glassware. 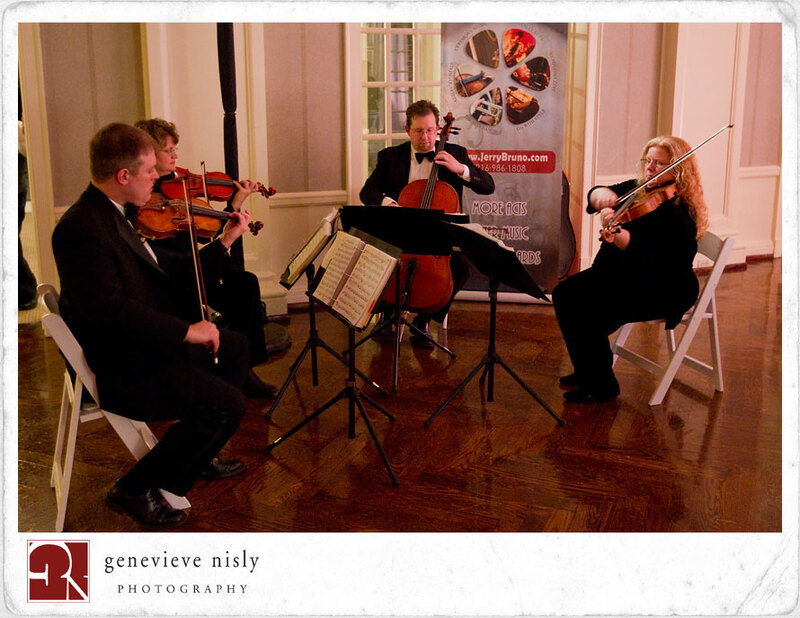 The rest of the A Team: Jerry Bruno Orchestra was the fantastic entertainment for the evening, along with a Frank Sinatra impersonator (Michael Sonata) that had the guests saying, “what, it sounds just like him, WOW!” Maria at SoBella assisted in the design of all of the paper products and they were over the top beautiful. 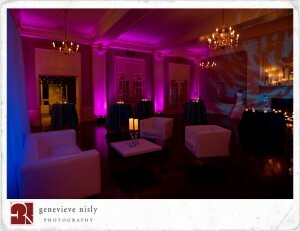 Lighting was provided by David Palmer of Network Sound in Aurora, Ohio. The beautiful and delicious cake was from Phyliss Lester Designs, and the late night chocolate treats (Gran Marnier, keylime, banana foster treats!) were made by Creme de la Creme in Akron, Ohio. And our transportation was provided by A1 Mr. Limo, always a pleasure to work with! I cannot wait to see the video that will be produced by my friends, Brian and Suzi Morris of 2nd Mile Productions. They are such a pleasure to work with and I adore their work. And of course, last, but definately not least, our photograhy was provided by James and Genevieve Nisly of Genevieve Nisly Photography. 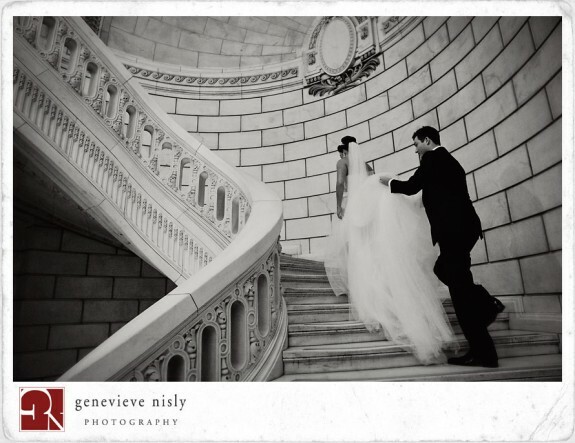 You can see many of their photo’s of this wedding at: http://genevievenislyblog.com/2011/05/16/michael-and-brandis-elegant-wedding-at-st-johns-cathedral-and-old-courthouse/ The pictures are just simply outstanding and here are a few more to enjoy! Tricia, it is Bobby and Angela, Mr. and Mrs! Listen, we wanted to call you specifically this morning, we hope we are not waking you up. We wanted to say that you originally started out as our wedding planner and you evolved into such a great friend of ours during this one year plus process. And we appreciate all your help. We understand this is your job and it is what you are good at, but you took care of us as one of our good friends would take care of us. And we love you very much and we appreciate everything, it was a fantastic night, as you can tell from my voice, and you were a major part of it. We want to make sure you feel good about what you do for people like Angela and I, because it was amazing! I truly love what I call a “job!” To know that I helped create a day that two people will cherish for the rest of their lives is the main reason I love it so much! Thank you for calling Bobby! 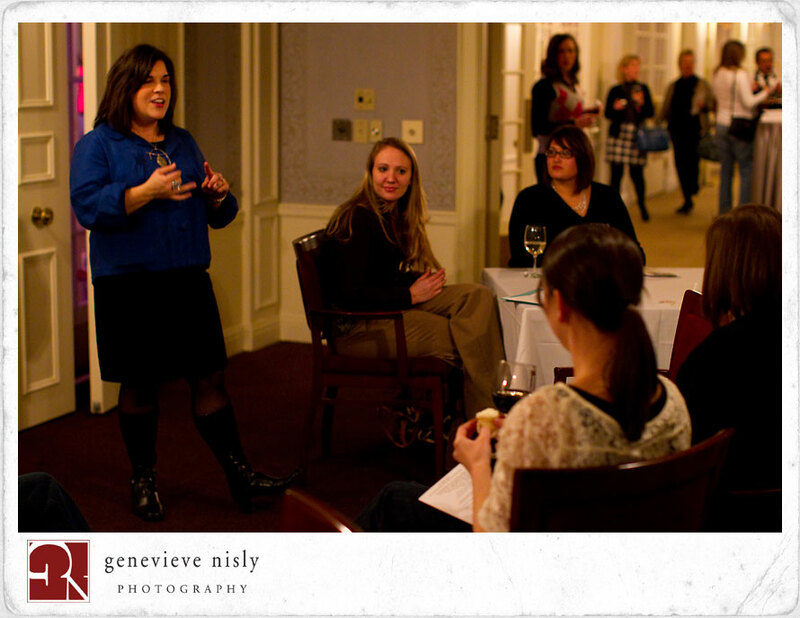 About a week ago, Genevieve Nisly and I held the first Northeast Ohio Bridal Soiree! The night was planned as an inpirational cocktail hour for brides to gather ideas and meet wonderful wedding professionals, held at Brookside Country Club. 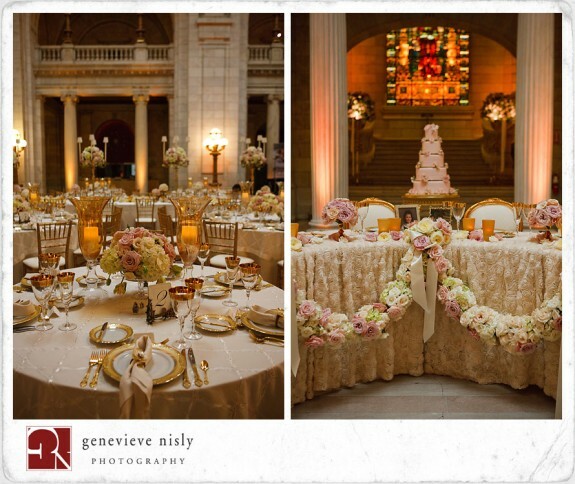 We partnered with Neil Leeson of Neil Leeson Decor and Floral to design 4 distinctly different weddings. 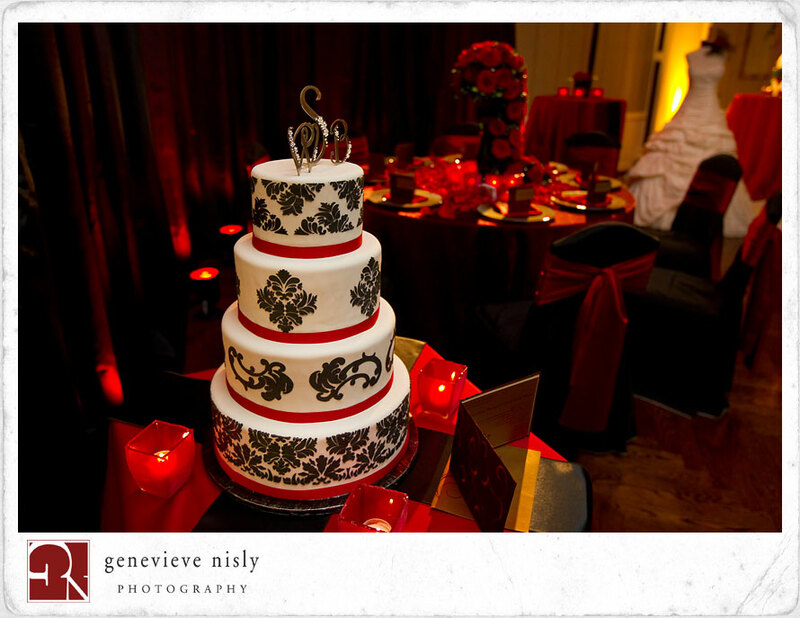 We paired his designs with linens, paper products, wedding dresses, and wedding cakes to create a complete look. 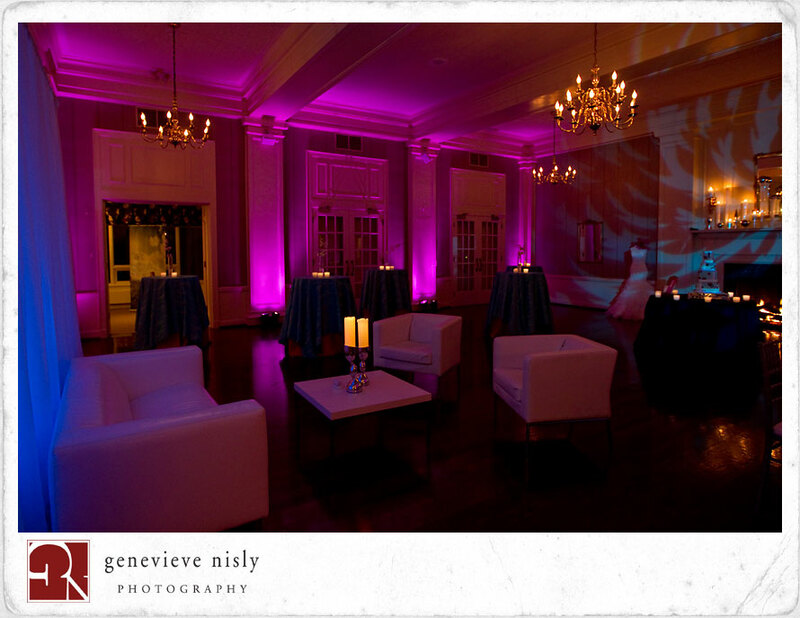 We worked with some of Northeast Ohio’s absolute best professionals to create the evening. Laura Woofter of Paper Allure, Dean Ross of Event Lighting, Abbott’s Bridal, West Side Bakery, Lnique Linens, Jerry Bruno Productions, 2nd Mile Productions, Canton Chair Rental, Be Seated, and ELM Rentals. Shall we plan another one?!? Enjoy these pictures, taken by the phenomenal Genevieve and James Nisly! 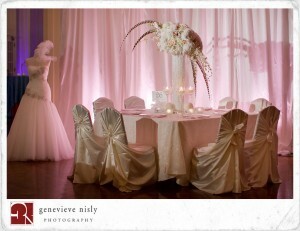 And to see more, check out Genevieve’s Blog! Neil Leeson mingles and answers questions with Brides! 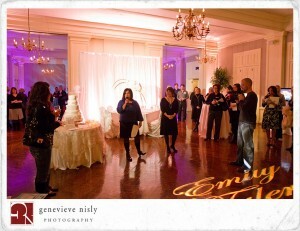 Tricia and Genevieve welcoming guests! 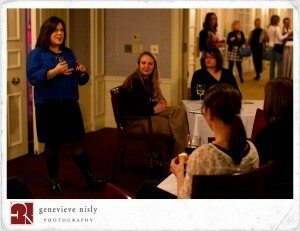 Many of our professionals conducted mini seminars for Brides to gather additional information. 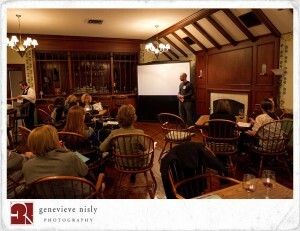 Brian Morris, of 2nd Mile Productions discusses videography trends. 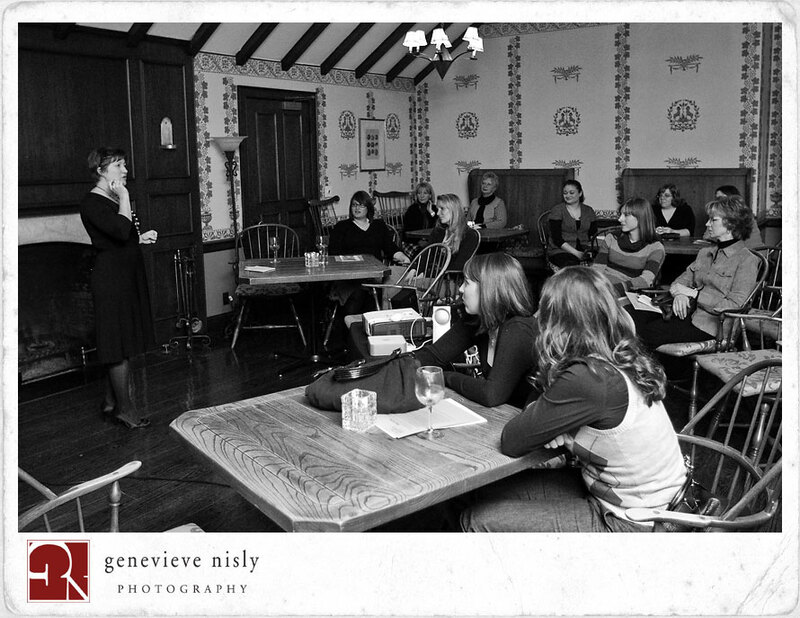 Genevieve Nisly discusses how to get the most from your photography! Posted in Uncategorized by Tricia on February 6th, 2010 | Comments Off on Soiree – Inspirational Success! Now you may be curious why I would post on my blog about another coordinator….I am not worried about competition, never have been. 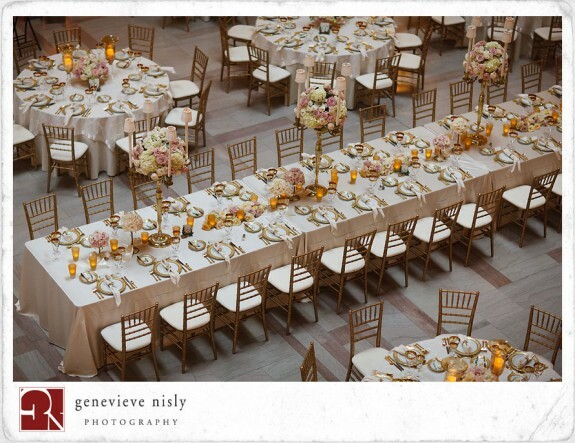 I was the person at bridal shows that would go up to other coordinators and instead of posing as a bride to steal their information, I would introduce myself….ask them to go to lunch and form a friendship. 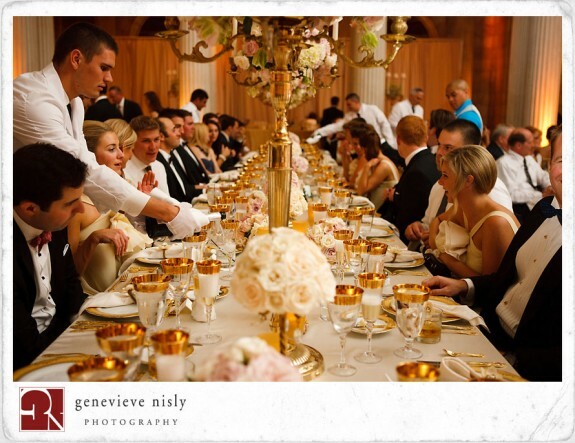 I can’t do every wedding…..in fact, I am not a coordinator that wants to take on even dozens of weddings a year. I take on several great clients each year, produce fantastic events for them and make sure that they feel as if THEY are the ONLY bride that I am working with. So yes, I become friends and recommend other coordinators. One of my dear friends, Emilie Duncan, moved to Columbus a few years back. When she lived here, we worked weddings together and learned from each other….I miss her but know she is very happy in Columbus with her business. This past spring, I had the pleasure of becoming friends with a relatively new coordinator to our area, but NOT new to the business, Brandi Hammerstone of All Events Planned. Brandi and I have little girls (2 year olds!) so we have a lot in common! We now plan playdates and I even had Brandi help me at a wedding in August that was just incredible (I cannot share pictures at the request of the family). 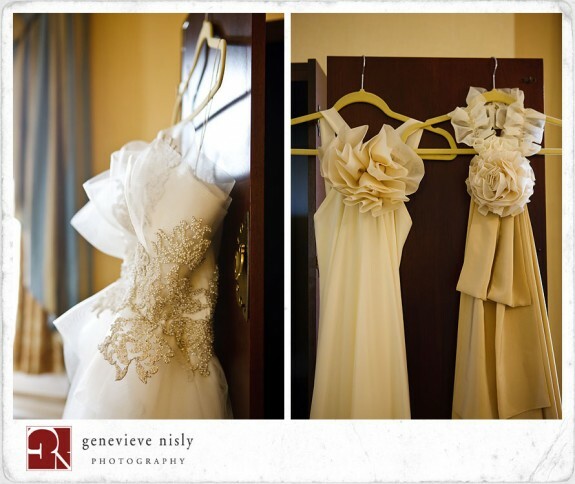 And then she graciously coordinated my sister’s wedding as well in October! Brandi is not afraid of competition either….and I think she thinks pretty highly of me and my business. She recently did an interview of me for her blog….. her it is: Brandi’s Blog!